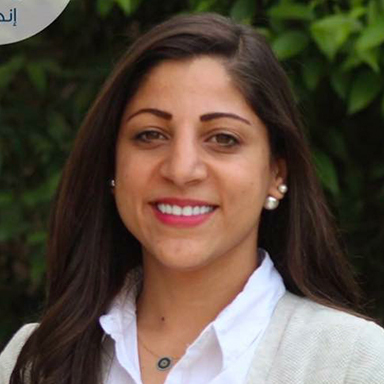 Hiba is the Programs Manager at LOYAC, an NGO for youth empowerment and development. As a Lazord Fellow, she was placed at LOYAC, and consequently was offered a job after finishing the fellowship program. She is passionate and eager to help and support youth. Before joining the fellowship, she worked as a lawyer from 2012 to 2014. Hiba graduated from the University of Jordan in 2008 with a bachelor’s degree in law.